Warner Robins is a city in the U.S. state of Georgia, located primarily in Houston County with a small portion in Peach County. The city has its own metropolitan statistical area Warner Robins metropolitan area. As of the 2000 census, the city had a total population of 48,804. From 2000 to 2010, the Warner Robins city population growth percentage was 36.4% or from 48,804 people to 66,588 people. 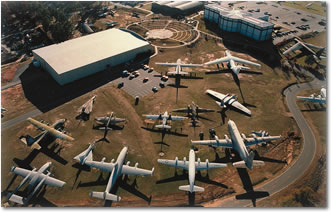 Warner Robins is home to the Museum of Aviation honoring the history of military aviation. It is located next to the air force base. The museum contains exhibits on military memorabilia, airplanes and ground vehicles, the Tuskegee Airmen and Operation Desert Storm. It is the second-largest aviation museum in the country. It is also the largest tourist attraction outside of Atlanta in the state of Georgia. Here's the our members favorite photos of "Cities in Georgia". Upload your photo of Warner Robins!